Developer : Spectral Games S.A. Your once faithful followers have revolted against you by renouncing their faith and tearing down your temples. 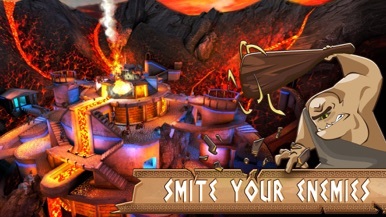 Unleash your wrath with the Almighty Finger and smite those heathens down! 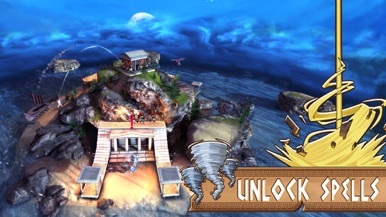 Play as one of three Greek gods in three unique campaigns. 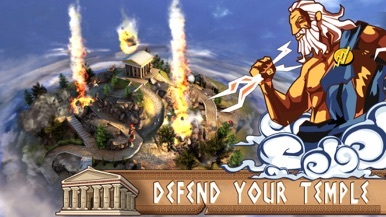 Command the power of lightning as Zeus, the overwhelming force of the seas as Poseidon, and the flames of the underworld itself as Hades. Tap the screen to send your almighty finger plummeting down on your disloyal subjects. 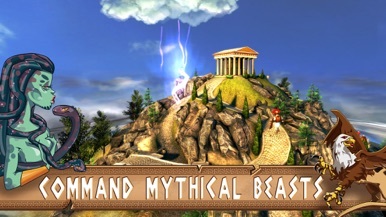 Tap furiously to pummel them, use your godly powers, or enlist the help of mythological monsters to send them to the underworld! Watch the battlefield come to life you as unleash spectacular displays of power that wipe out waves of enemies at a time. Unleashing the fury of a god never looked so good — all made possible with the stunning Unreal Engine. 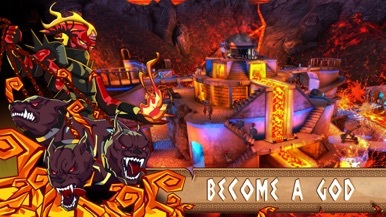 • Tower defense on a godly scale with fully 3D 360-degree environments. • Simple controls: tap to crush your enemies, use powers and place monsters with one finger.